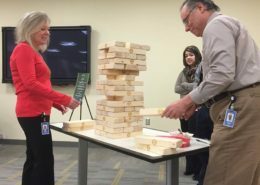 Add this exciting classic game to your next event or even host tournaments! 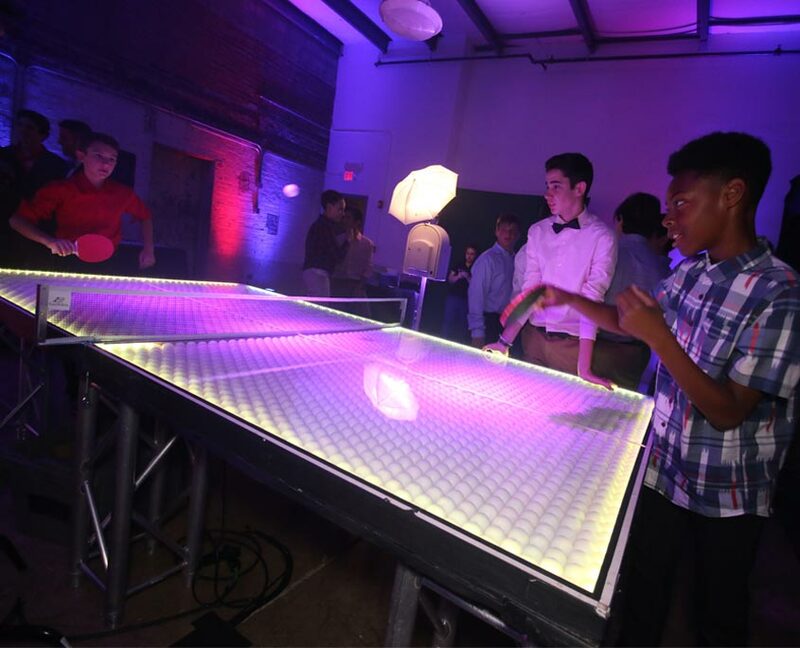 Our LED Ping Pong Table is a huge hit and a great addition to any special event. 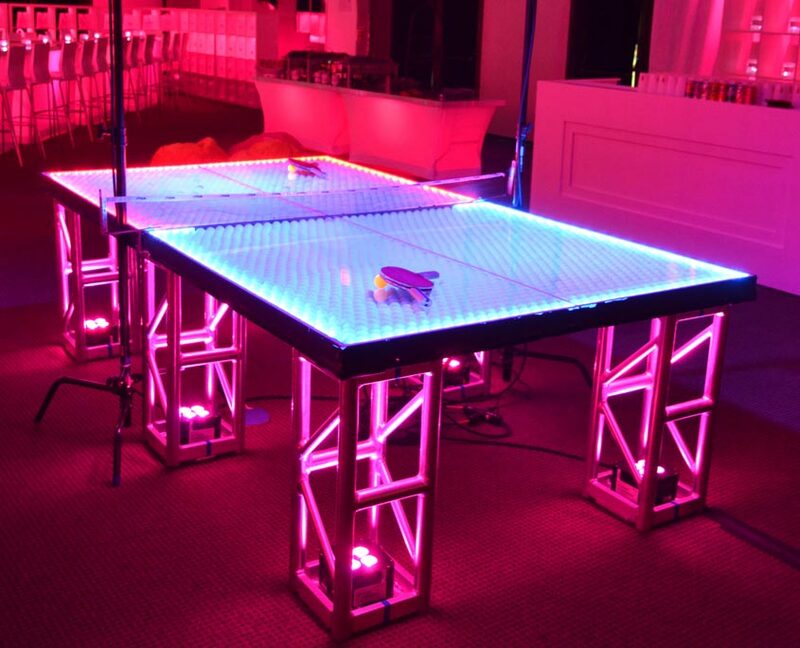 Fully light, regulation-sized and custom created Ping Pong Table with over 1,300 ping pong balls to create it’s surface, all your guests are sure to love it. 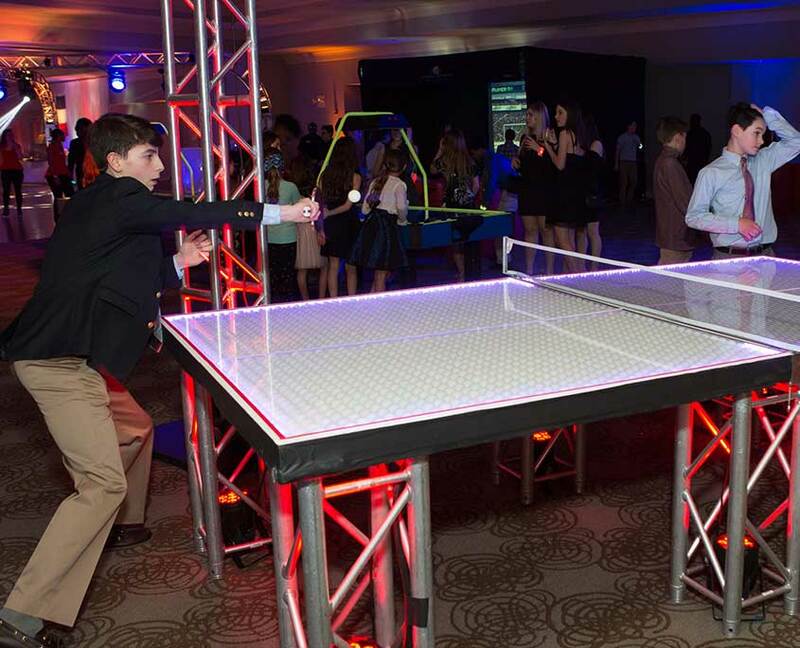 This 1901 classic is ready to come to your next event! 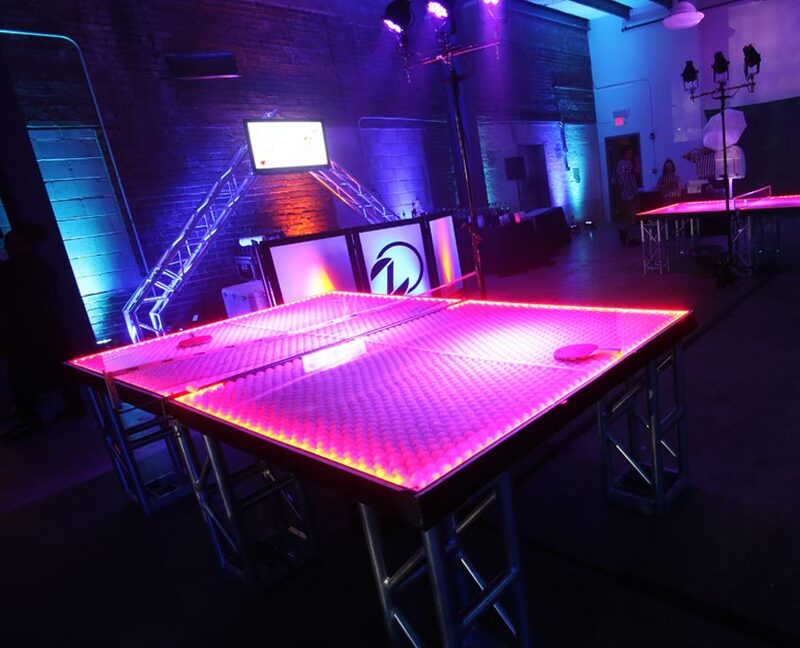 The Zone Entertainment LED Ping Pong Table will highlight your event with a splash of color, as this is Zone’s modern twist on a traditional game. 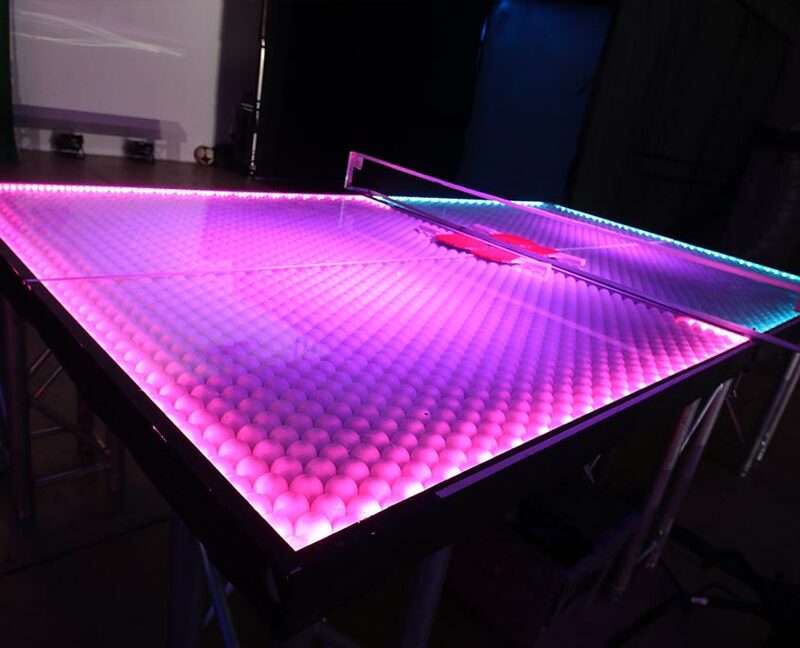 Our LED Ping Pong Table comes with all the supplies you need and even glows in the dark. 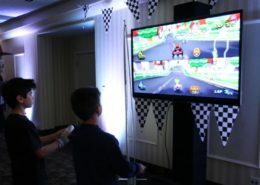 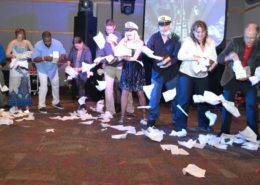 This is a great hit with all ages and perfect to add to an special event. 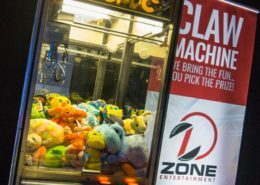 Your Favorite Classic Games... Life Size!